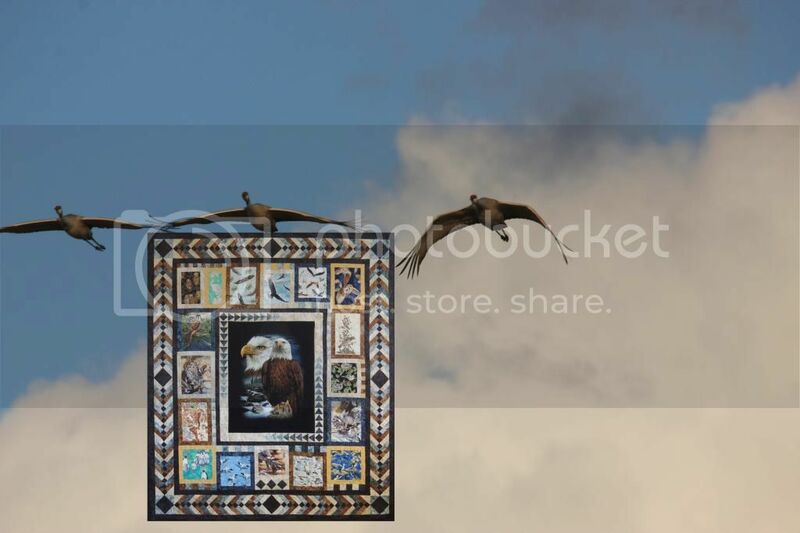 MAY 2014 Quilt Auction to benefit HEGPS ~~ "Eagles on the Shore"
offer, for auction, a unique art work and labour of love. 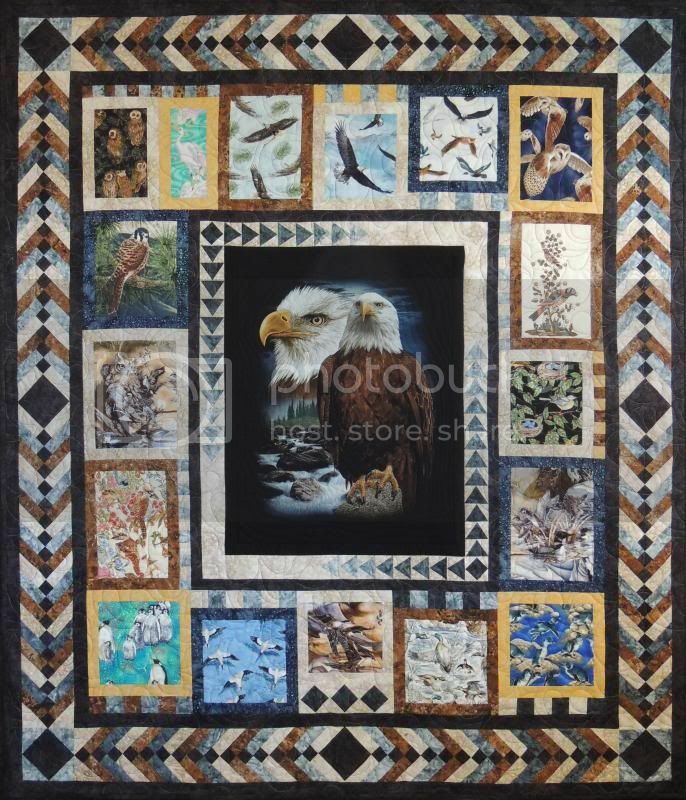 "Fol-di-rol" has created an amazing quilt "Eagles on the Shore"
exceptional; the professional quilting highlights the design. 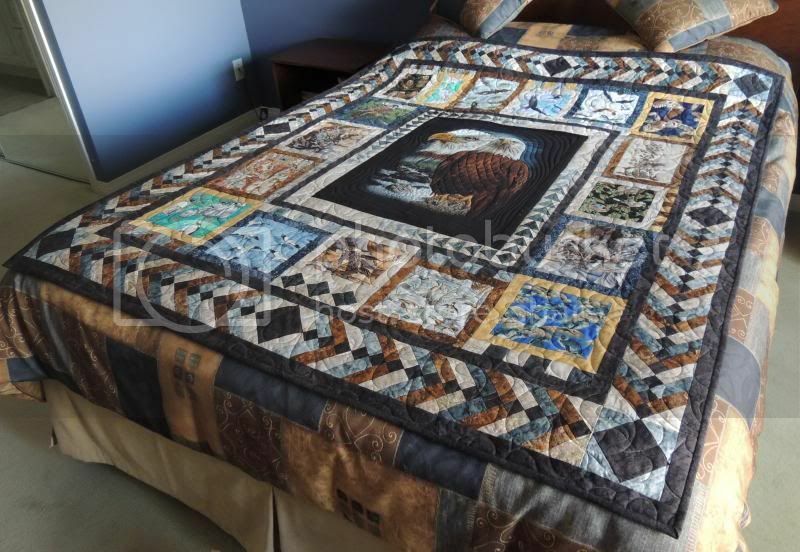 Quilt shown on a queen-sized bed. Title: "Eagles on the Shore"
Size: 57 in. x 66 in. Re: MAY 2014 Quilt Auction to benefit HEGPS ~~ "Eagles on the Shore"
Hmmm, whatever could this bee? and now you all know the answer ! Foldi, a beautiful quilt. Thank you for your generosity and creativity. Foldi! 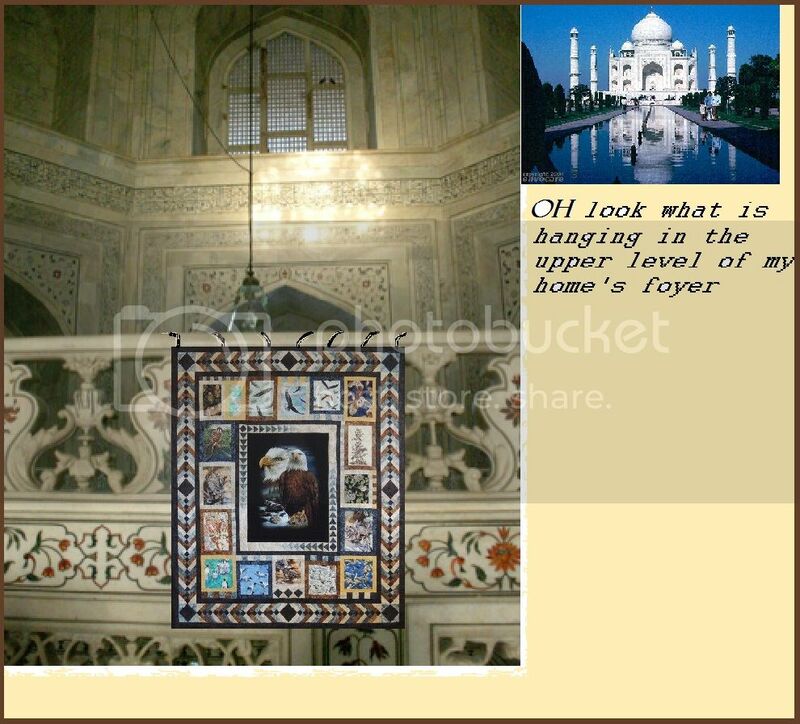 The quilt is beyond anything I can even think! You are so talented. Thank you!!!!!!!!!!!!!!!!!!! Wow, Foldi! That is just spectacular! Wowee! What a beautiful quilt, Foldi. Thank you for very generous donation and continued support for our HEGPS projects. Foldi You outdid yourself this time Its gorgeous . Thank you I love it . Thank you, AGAIN!, for supporting us the way you do. 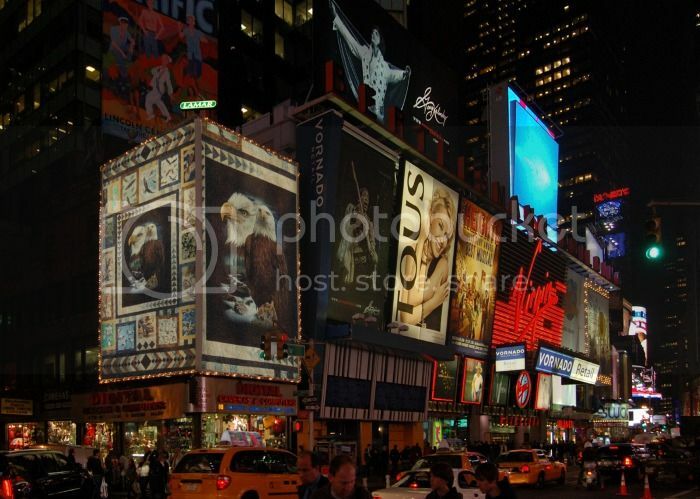 I heard that this upcoming auction is being advertised in New York City, so there should be lots of bidders!